Join Monster X Radio as we talk to two of the men behind Creatureplicas, Jeff Byers and Jean St. Jean. Creatureplica's mission is "True dedication to native folklore, witness reports and historical record is the basis for the genesis of Creatureplica and the creation of our sculptural depictions. Our initial wave is in scale with 6” and 7” action figure lines, fully articulated with environmental bases. Creatureplica is allowing me to approach this line with a level of attention to detail, sculptural refinement and authenticity that hasn’t been given to the topic before. 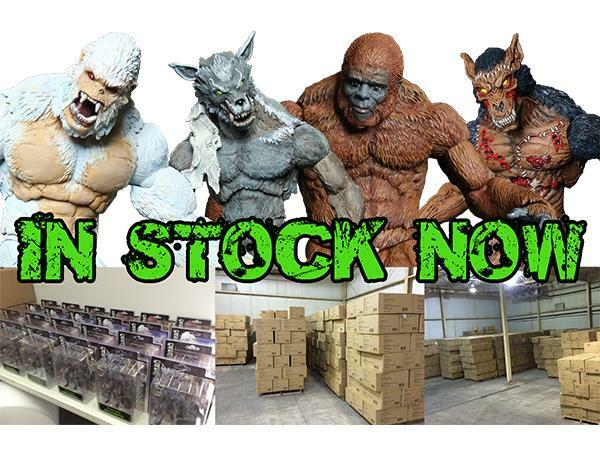 With that said, you’re going to be seeing things that aren’t going to look like the typical versions of cryptids that are generally thrown out there by typical toy manufacturers.."